The International Academy for the Study of Religion and Video Gaming (IASGAR) hosted a post-conference event on Sunday, Aug. 12. View details about the IASGAR post-conference “LEVEL UP” First IASGAR conference on video gaming and religion and the call for papers. Anthea Butler is Graduate Chair and Associate Professor of Religious Studies and Africana Studies at the University of Pennsylvania. Professor Butler’s research and writing interests cover religion and politics, religion and media, African American religion, sexuality, gender, and popular culture. She is the author of and Women in the Church of God in Christ: Making A Sanctified World on The University of North Carolina Press. She is currently completing a book project on religion, politics, and evangelicals from 2008 to the 2016 election which will be published with The New Press. A sought-after media commentator on the BBC, MSNBC, CNN and other media outlets, Professor Butler also provides op-ed on contemporary politics, religion, and race at The New York Times, The Washington Post, and The Guardian. She has also served as a consultant to the PBS series God in America and the American Experience on Aimee Semple McPherson. 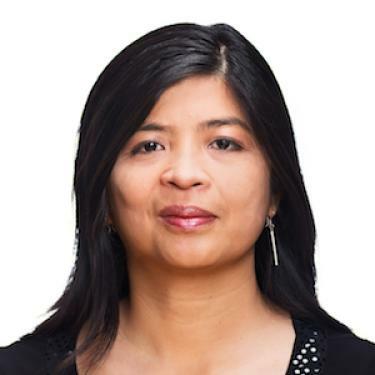 Merlyna Lim is a Canada Research Chair in Digital Media and Global Network Society and Associate Professor of Communication and Media Studies at Carleton University. Prior to joining the Carleton University, she held research and teaching positions at Princeton University, Arizona State University, and the University of Southern California. In 2016, Lim was named a member of the Royal Society of Canada’s New College of Scholars, Artists, and Scientists. Lim’s research and teaching interests revolve around social and political implications of media and technology, especially digital media, in relation to issues of justice, democracy and civic/participatory engagement. Lim’s current research attempts to analyze specific roles of digital media in the politics of transformation, identify regional patterns and constellations of digital media as an instrument for protest and mobilization, and examine how regional and national contexts may define and/or shape mobilizations and social movements. She is currently completing a book on on/offline spaces of global protest movements and another book on the socio-political history of digital media and activism in Indonesia. 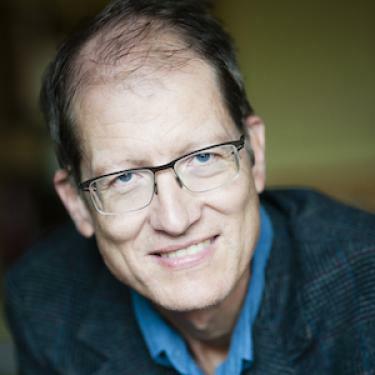 John Durham Peters is María Rosa Menocal Professor of English and of Film & Media Studies at Yale University. A media historian and social theorist, he has authored a number of noted scholarly works. His first book, Speaking into the Air: A History of the Idea of Communication, traces out broad historical, philosophical, religious, cultural, legal, and technological contexts for the study of communication. His second book, Courting the Abyss: Free Speech and the Liberal Tradition, updates the philosophy of free expression with a history of liberal thought since Paul of Tarsus. His most recent book, The Marvelous Clouds: Toward a Philosophy of Elemental Media, radically rethinks how media are environments and environments are also media. He has held fellowships with the National Endowment for the Humanities, the Fulbright Foundation, and the Leverhulme Trust. Peters received a PhD in Communication Theory and Research from Stanford University in 1986. He taught at the University of Iowa for 30 years, and began a position at Yale University in 2017. *Unless otherwise noted, all events will be in the Village Center Dining and Community Commons. Following the tradition begun at the 2016 ISMRC conference in Seoul, South Korea, three field experiences were planned that exposed conference participants to the unique religious landscape of Colorado and the Mountain West region of North America. This field trip took participants to two Denver locations to learn from and about the indigenous experience in the American West. The morning begun at the University of Denver, located on Southern Cheyenne and Arapahoe lands, with a short film about indigenous history and a discussion with Mary Bowannie, an indigenous journalist who writes about Native issues. She set the cultural and historical context for a panel discussion on the contemporary indigenous experience. Faculty and staff from the University of Denver and Iliff School of Theology discussed how the universities participate in, and respond to, indigenous issues. For the afternoon, the group travelled to the Denver Art Museum, host to a world-renowned collection of Native American art and artifacts. Colorado Springs, the state’s second-largest city, is internationally known both as a religious tourism destination, and as the headquarters of major Evangelical Christian organizations, institutions, and ministries. Participants began in Boulder with a brief introduction to the history and location, followed by a trip by coach through the front range of the mountains to Colorado Springs. Participants stopped at the unique and world-famous “Garden of the Gods,” a large alpine park featuring fascinating natural rock formations, for lunch. For the afternoon, participants took a guided tour of the headquarters of Focus on the Family, one of the most politically and socially influential of American evangelical organizations. The tour also included a brief stop at the U.S. Air Force Academy Chapel. This field trip visited the largest Stupa in North America, the Great Stupa of Dharmakaya at the Shambhala Mountain Center in Red Feather Lakes. The trip gave participants a sense of the influence of Tibetan Buddhist traditions in the Mountain West region—one of its most important locations in North America—and how these traditions have evolved and adapted with local cultures. Participants had the chance to explore the grounds of the Shambhala Mountain Center, take a guided tour of the Great Studpa, and to have lunch in the dining hall. Have questions about the conference or registration? Email us.